The Viet Noodle Guy has been on my radar for about a month now. 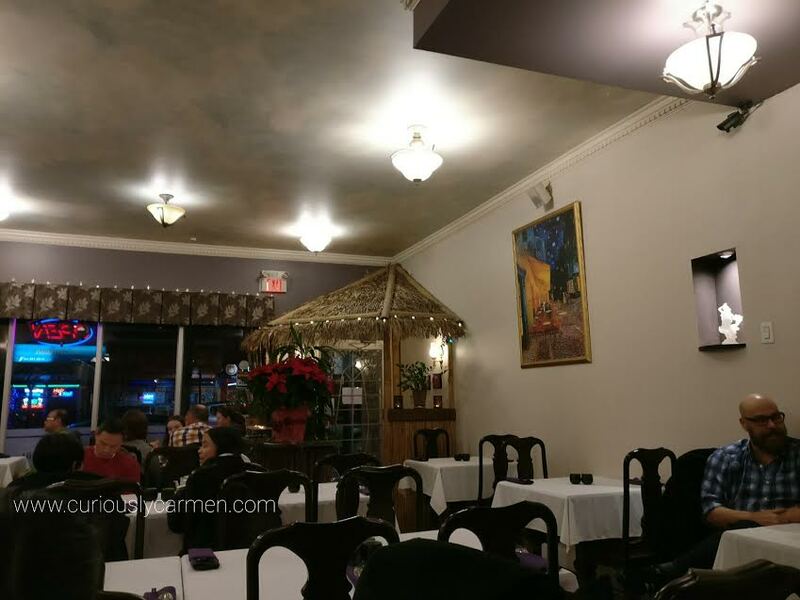 It is a new Vietnamese restaurant that opened up by Brentwood, in the same complex as Brown’s Social House and across from Madison Center. The reason why I wanted to try it was because a) it was new, b) it looked clean and modern, and c) it had a high rating of 4.5 stars on Yelp already. Smores and the boyfriend were down to try it too, so we went one weekday evening. There is free underground parking in the building, which was nice. Walking in, it was spacious in there due to the very high ceilings. 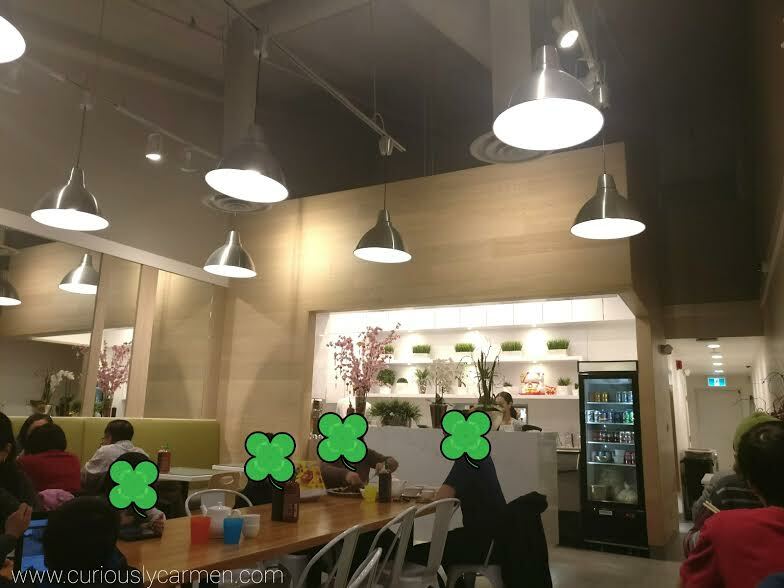 They had nice, matching decor going on and there was also a small balcony upstairs where they make their banh mi. We were wondering whether or not customers were able to walk upstairs and order banh mi, or was it for takeout customers? Popcorn shrimp: It’s been awhile since I’ve seen popcorn shrimp in awhile! I don’t know why I was expecting American style popcorn shrimp, but it was different than I expected. It was more of the Chinese style and I would describe it more as a deep fried shrimp instead of popcorn shrimp. They came fresh and crunchy, and bursting with garlic flavour. 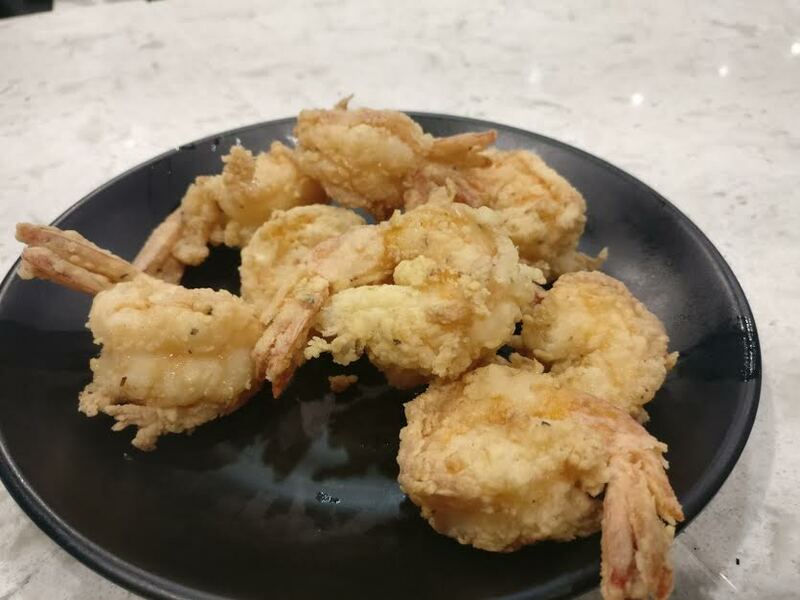 It tasted like Chinese deep fried shrimp, which I am definitely not complaining about because it’s one of my guilty pleasures, although it’s been awhile I ate it because #health. There was also a thick sweet chili dipping sauce too, which went well with the shrimp. 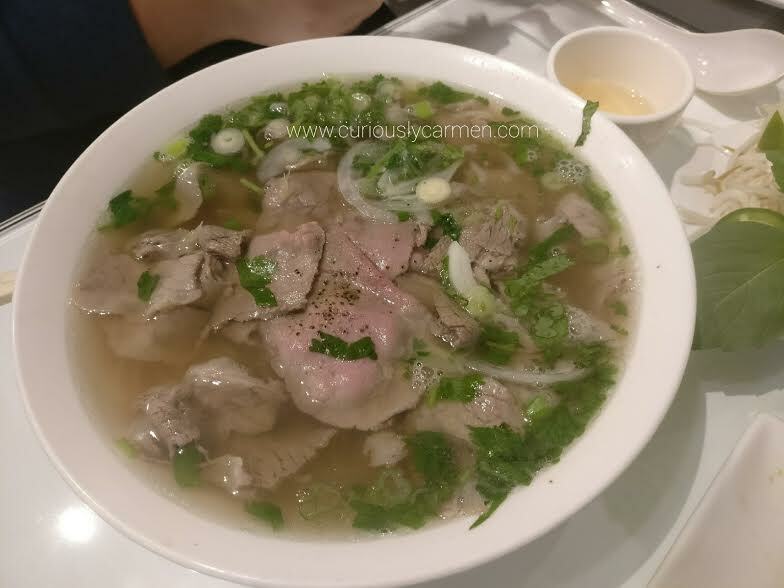 Viet noodle with rare beef and tripe P5: I wanted to see how their pho was. 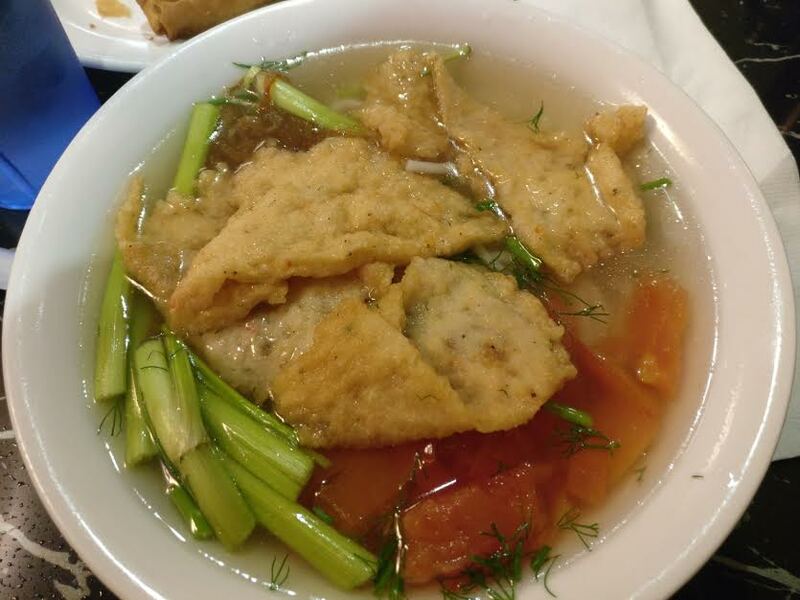 There was a generous portion of rare beef and tripe, and I was really full after this bowl. Broth-wise, I found it to be pretty salty and flat, but still satisfying. It could have used more herbs because it mainly tasted like a beef broth without the standard herbs they add. House special vermicelli bowl: Smores and the boyfriend ordered the house special vermicelli bowl, which was a lot better than mine! It came with so much stuff- lemongrass chicken, beef, pork patty AND spring rolls! To make things better, all the meat was seasoned perfectly and so deliciously juicy. 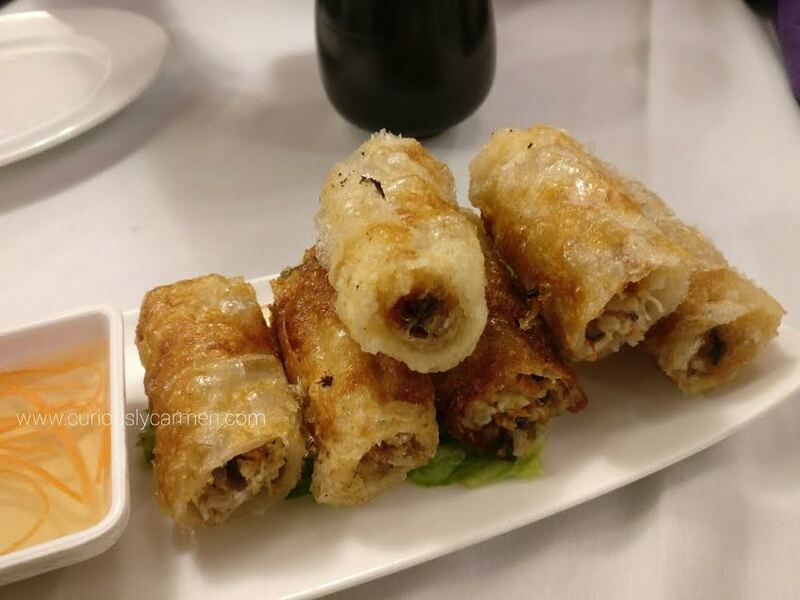 As for the spring rolls, it was crispy and full of meat too. 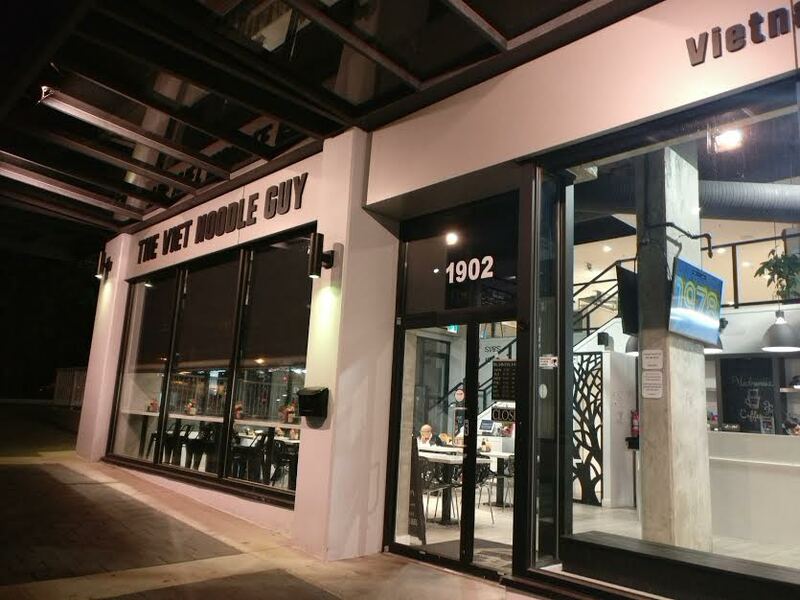 The Viet Noodle Guy is a decent choice if you’re wanting Vietnamese food. 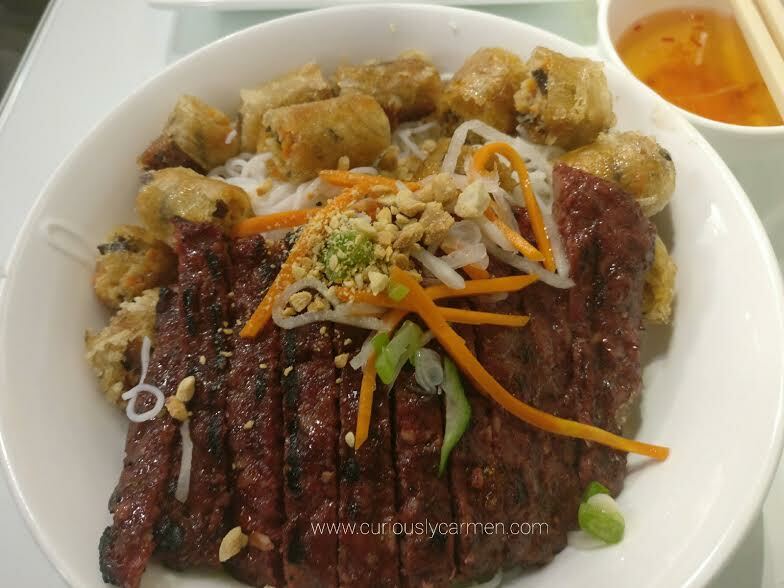 In particular, it seems their vermicelli bowls are quite popular, and for good reason too! 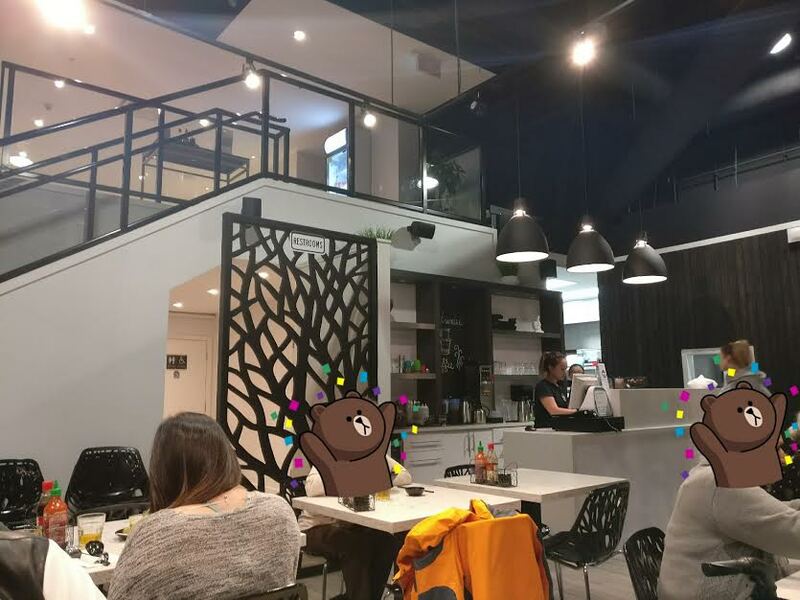 I can see us coming back to the Viet Noodle Guy if we’re feeling like not going to our usual Vietnamese place, Basil Garden. My mom and her friend were meeting up for lunch, and she asked me if I wanted to tag along since I haven’t seen her friend for many years! Her friend also suggested going to Anh and Chi, which I wanted to try so along I came. When I was a kid, I remember this used to also be a Vietnamese restaurant. But it has definitely changed a LOT, the previous one was a family owned, no frills type of restaurant. 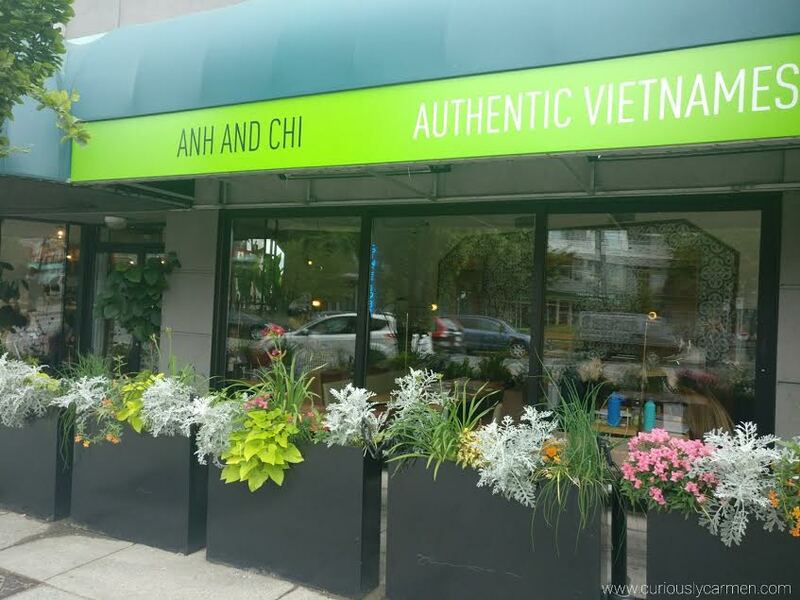 Anh and Chi is definitely one of the fancier and boujee Vietnamese restaurants that I have been to, and the prices reflect that. The interior of the restaurant was quite nice. 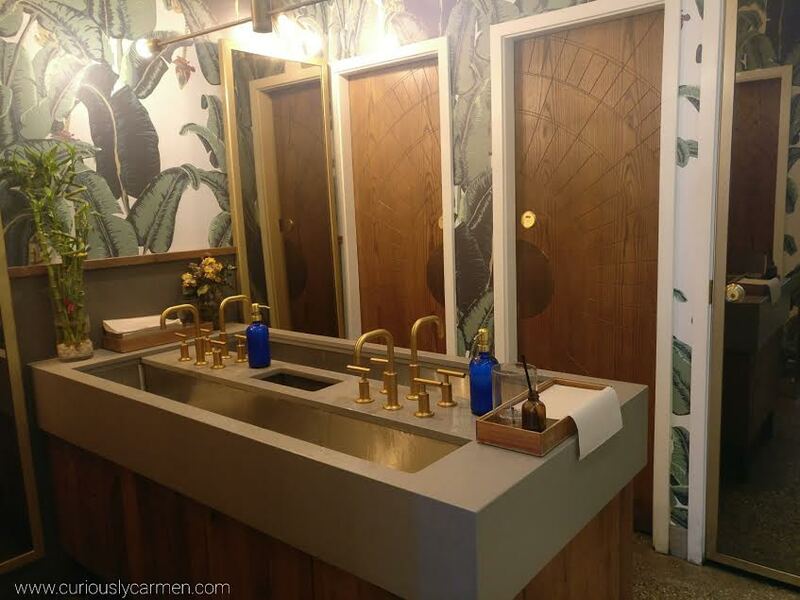 It had a modern, wooden and natural vibe to it. The seating was comfortable too, we got a corner booth. Since we came before the lunch rush, we didn’t have to wait, but noticed towards the end of our meal that a line was forming. Mushroom spring rolls, $8: My mom and I haven’t been here before, so we let her friend order as she’s been here many times. I’m glad that she ordered because she chose things that I wouldn’t have chosen myself, so I got to try new dishes! This was the mushroom spring roll which came with vermicelli, carrots, and a mix of herbs. 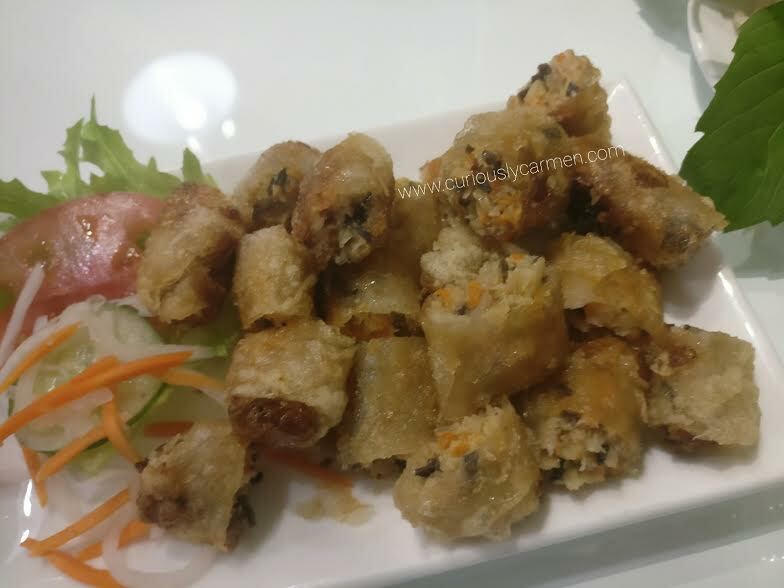 The spring roll was crispy and fresh, with a delicious crunch. Inside, it was bursting with flavour and so delicious. 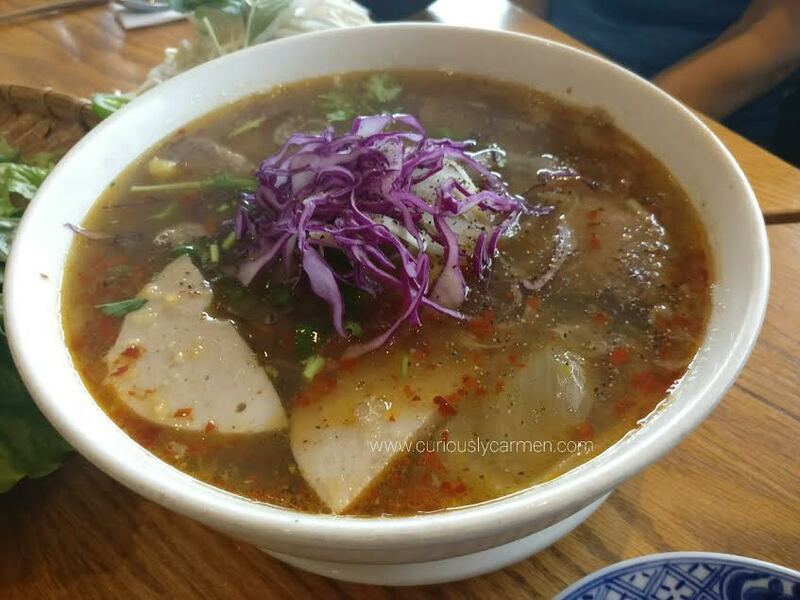 Bun bo hue, $14.00: Another thing that I normally would not have ordered… but after having this, I am definitely going to order it when I’m not feeling like a regular pho! Bun bo bue is a type of spicy broth, if I’m not mistaken. There was a subtle hint of spice, but nothing super spicy that your tongue was on fire or you needed water to pair it with. In addition, there was a hint of slight sweetness that made it too. 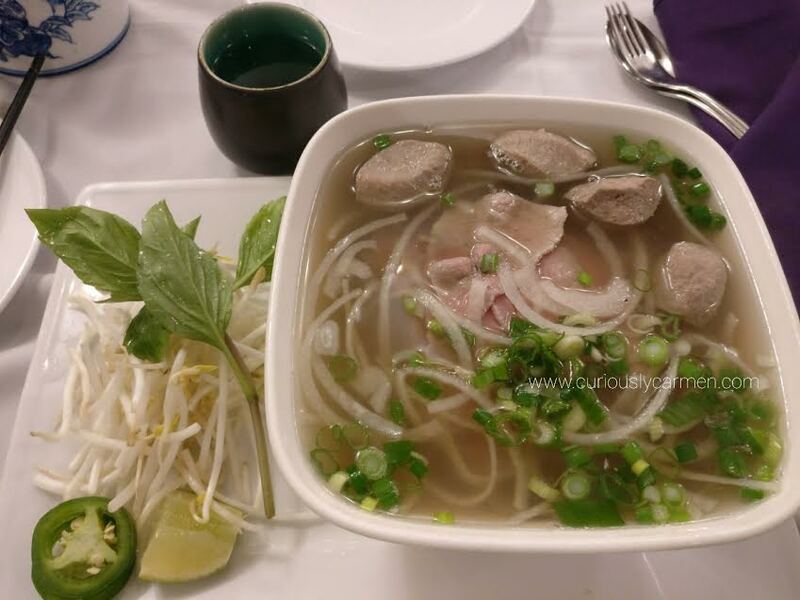 The noodles were the thick vermicelli ones, which are different than the rice noodles typically served with pho. DIY Street side platter, $22.00: Another thing that I’ve never ordered from Vietnamese places or seen on menus before! 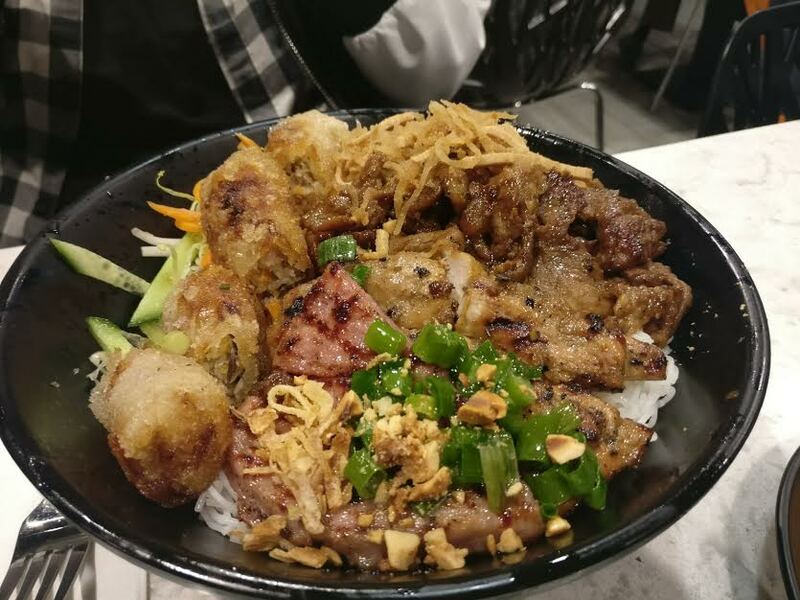 The street side platter comes with a variety of different proteins, greens, vermicelli, and fish sauce. On a side plate, they give you dried rice paper and a bowl of warm water. You are then instructed to dip the dried rice paper into the warm water, and then make your own wrap. It was a fun experience and all the meats that we had were delicious. I also got to try the pork spring rolls, but I liked the mushroom ones more. 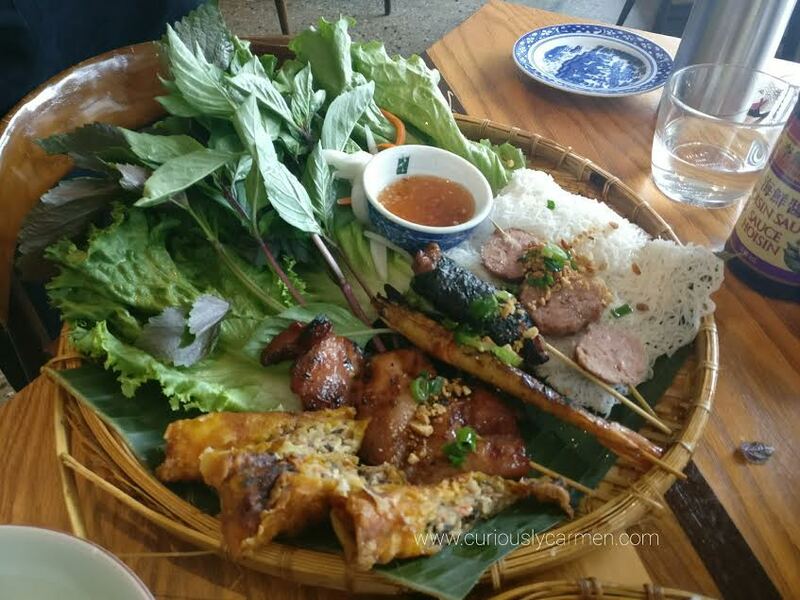 It came with pork, beef wrapped in betel leaf, grilled prawn, and grilled chicken. All the meats were delicious and I have no complaints, but my favourite was definitely the grilled chicken! As we were leaving, I found the washroom to be quite cool so I took a picture to include in this post. There isn’t a female and male washroom, just some private stalls and communal sinks. This set up works in favour of females because the female washrooms are always the ones that are lined up, haha!!! Anyways, the 3 dishes that we ordered were new to me and I’m glad that I got to try them. 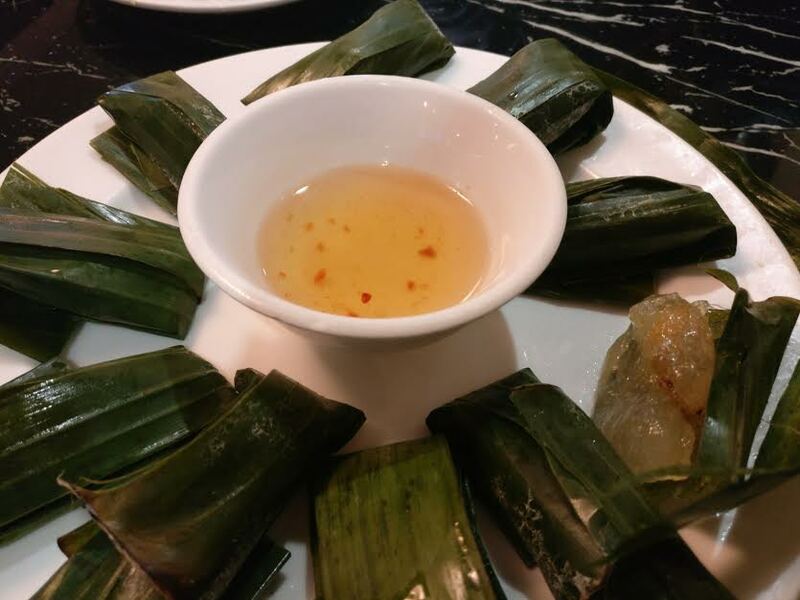 The prices are on the pricier side for Vietnamese food, so I would suggest coming here if you’d like something a bit more fancy. Even though it’s pricier, I would say that it’s worth it because the food and quality was great. I can see why this place gets line ups during peak hours. 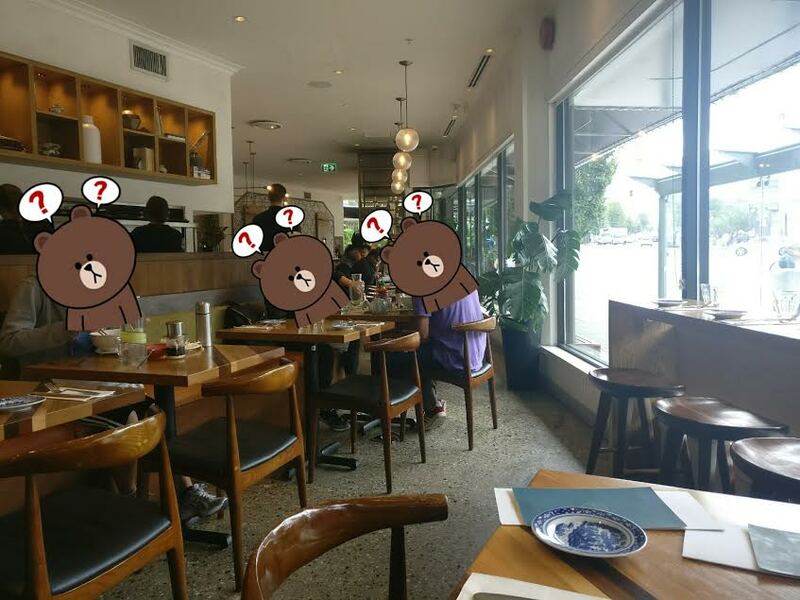 I’ve been running low on new food posts, so the boyfriend and I decided to look for some restaurants that I could blog about. 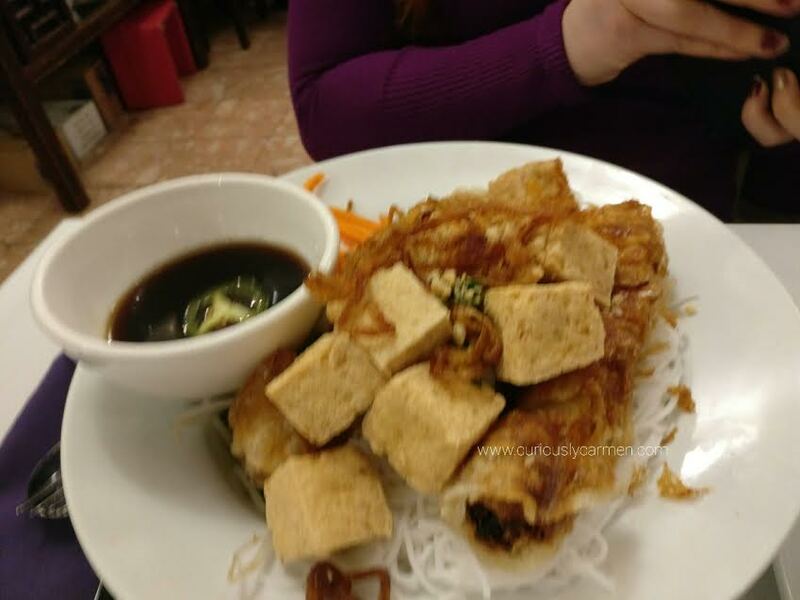 We’ve driven by Basil Garden numerous times (if not everyday haha) and keep saying that we should go for the past year since the Yelp reviews were pretty good. Basil Garden is located on Renfrew and Broadway, in a small strip mall where Mr. Sub is. Walking in, the decor was pretty modern and nice. Everything felt very clean and it was a lot nicer than the usual Vietnamese places we eat at. Spring rolls, $6: The boyfriend was quite hungry that night, so we ordered some spring rolls to start. 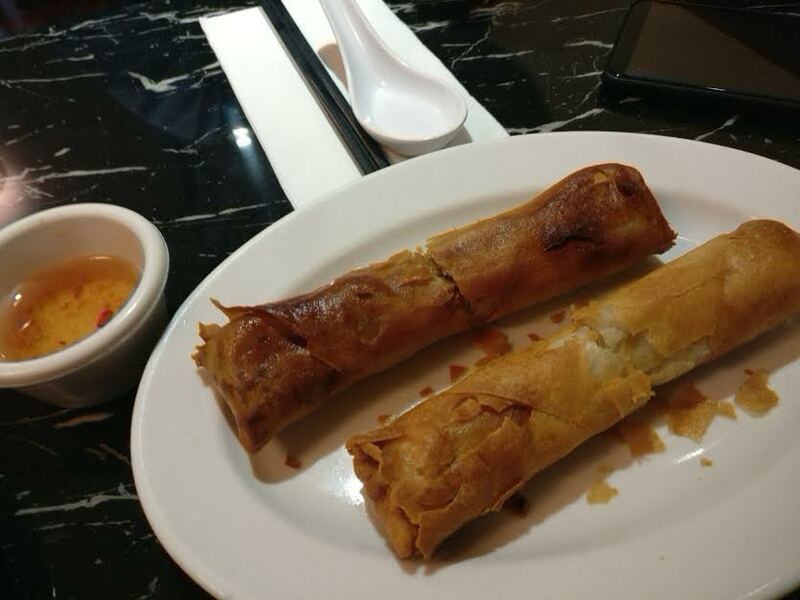 There was quite a generous amount – 4 spring rolls for $6 is a great price! They were fresh, crunchy and delicious! 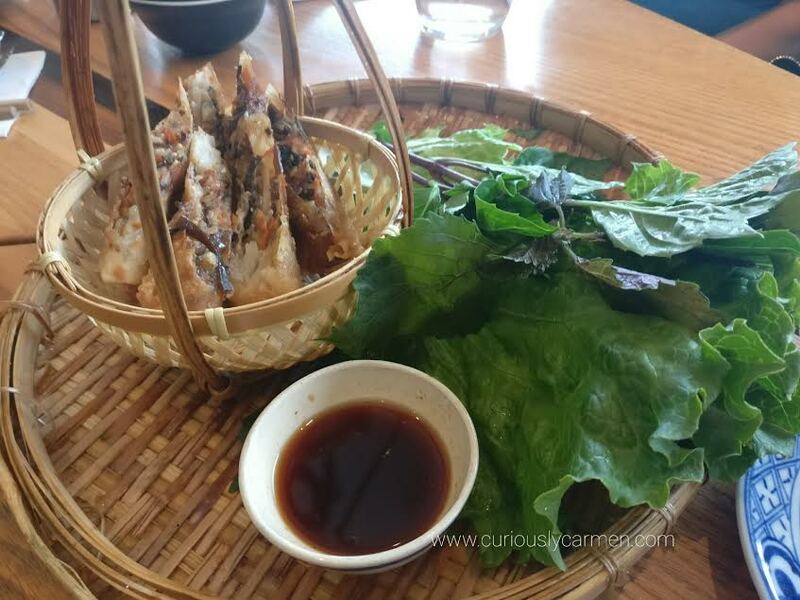 We have high expectations for Vietnamese spring rolls thanks to Le Petit Saigon and these were excellent as well. 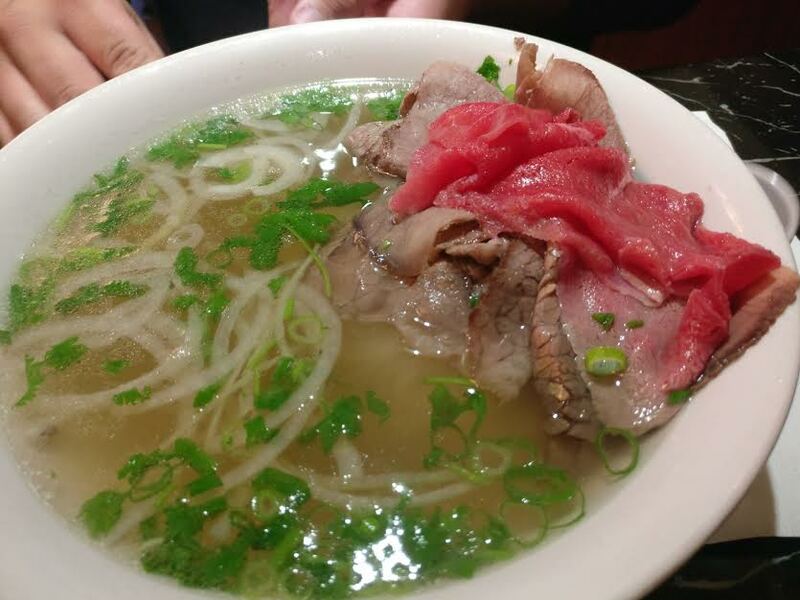 Large pho w/ rare beef and brisket, $10: At $10, the price was a bit higher than we were used to but this place is also a bit fancier. With that said, the boyfriend really enjoyed it. 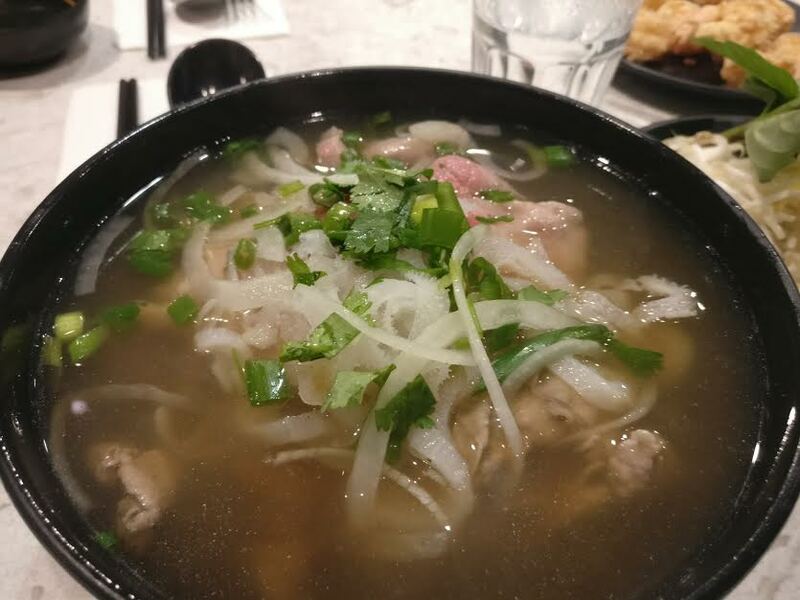 The broth was super clear but very flavourful. The portion was HUGE, with lots of noodles and beef! Pork patty & spring roll vermicelli: The pork patty was different than the usual places I go to. It was slightly sweeter and the texture was different. Pork patty usually has an even texture and consistency because it’s processed (I think? Not sure) but this one didn’t seem that processed. Like think of a more-processed hot dog sausage compared to a breakfast sausage. But I guess this is a good thing because it’s healthier, I was just expecting this style of pork patty. One last thing to mention is how clean their sauces are! 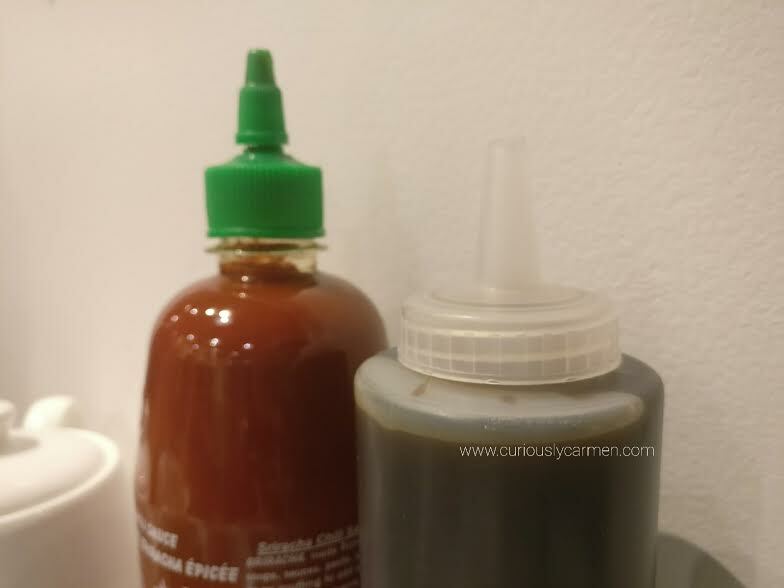 This probably means that they clean out their sauce tubes quite often? It was pretty busy that night so I’m sure that the sauces get used a lot. 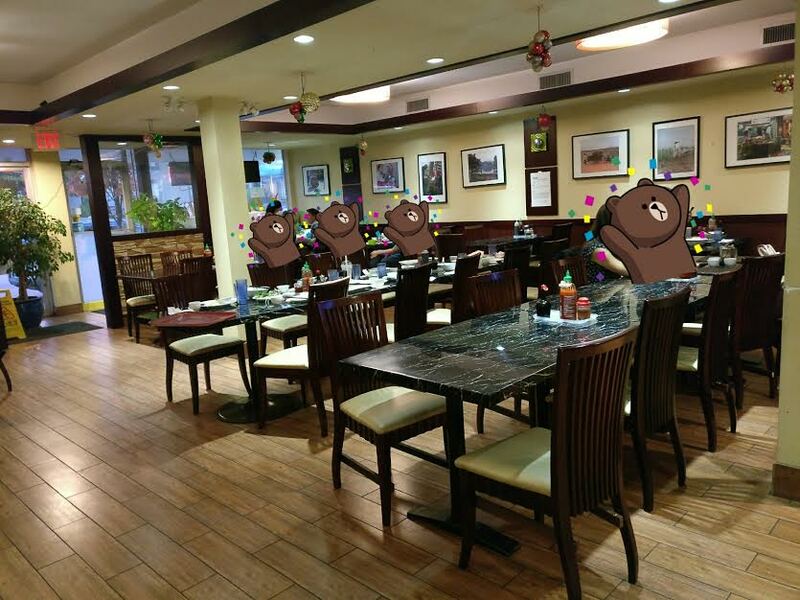 Anyways, we enjoyed our visit to Basil Garden and will be back! 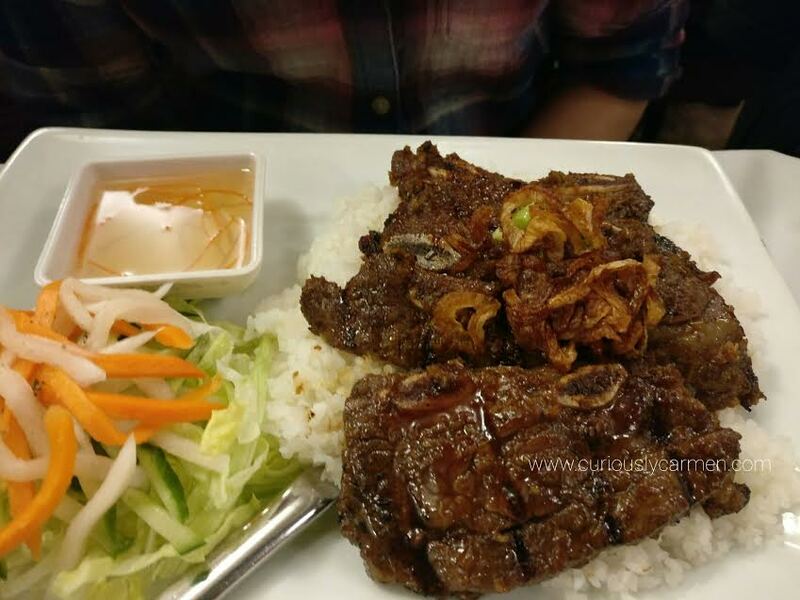 It’s a good option for Vietnamese food in the area. As the boyfriend says, he would come back here if he wanted something close and didn’t have any cash for Thai Son. Agreed!